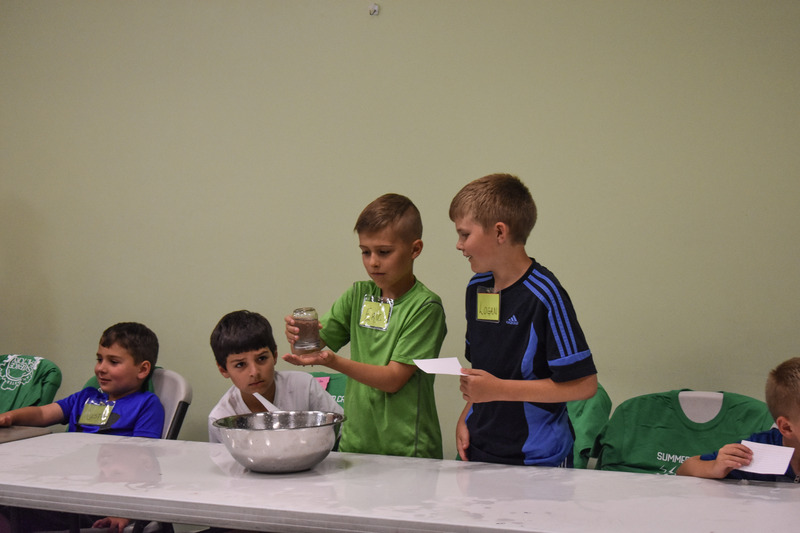 “That’s so LIT!” and “It’s magical” were just a few of the phrases that kids exclaimed while conducting experiments at Lancaster Science Factory’s summer STEM Camp. The Thursday afternoon session entitled, “BLOW your MIND: The Unbelievable but Possible” had kids exploring the incredible, and sometimes law-defying, properties of water. This particularly captivating activity had campers filling mason jars with water, placing a notecard on the top of the glass, quickly turning the jar upside-down while holding the notecard in place, and gently letting go of the notecard, staring in awe as the water stayed in place. 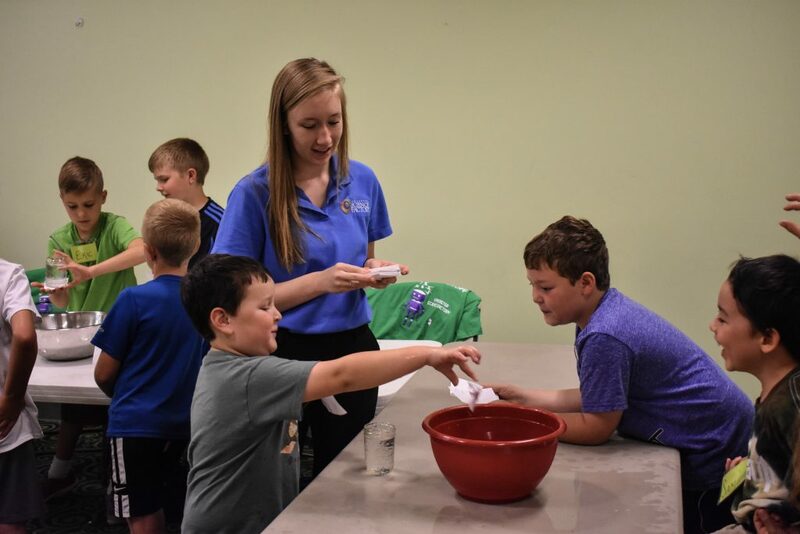 Lancaster Science Factory hosts a series of STEM camps that are sponsored by UGI and run for 24 weeks during the summer, from June 11 to August 17. The weeks are divided into morning and afternoon sessions, with themes ranging from “Wonders of Weather,” “Junk Drawer Robotics,” “FrankenSlime,” “The Science of Color,” “Has a Crime Been Committed,” “Mathemagician Academy,” and many more. The STEM-themed camps are purposefully interactive, messy, and hands-on, giving kids ages Pre-K to eighth grade the chance to spark their curiosity and gain confidence in areas of Science, Technology, Engineering and Math. UGI funding helps to not only purchase the materials necessary for activities, but provides top-notch instructors with varying backgrounds that create innovative curriculum intended to engage campers and inspire them to have a future STEM career. With the summer camps seeing between 300-400 students, UGI is making a significant impact on the workforce of tomorrow. UGI is pleased to partner with and support Lancaster Science Factory and their mission to instill Curiosity, Creativity, and Confidence within young people today. For camp registration details and a complete list of the 2018 STEM program themes, visit https://www.lancastersciencefactory.org/summercamps/ .